Baldwin for the win; Who's the (Gay) boss? Baldwin for the win; Who’s the (Gay) boss? January 6, 2009 Tammy Baldwin makes Wisconsin history, becoming the first openly gay person (+ first woman!) from the state to be elected to the United States House of Representatives. She joins Barney Frank (MA) and Jared Polis (CO), bringing our gay total in the House to a whopping three. January 6, 1976 Happy birthday Danny Pintauro! 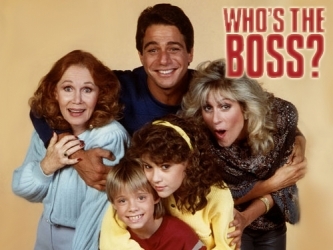 You’ll grow up to play Jonathan on Who’s The Boss, and will be outed by the tabloids years later during a time when it was a career killer, rather than cover of People Magazine material. Also, while I will publicly claim I’m crushing on Alyssa Milano in junior high, I’ll really only have eyes for you, boo.